I have to admit that prior to my lifestyle change. I wasn't a fan of lime/lemon water. I was the type of person that was hoping that a lemon/lime wouldn't be added my water when the server came to bring my drink at a restaurant. As, I've gotten wiser, and educated myself more. I learned the importance of drinking warm (lime/lemon) water on a daily basis.I know you're probably wondering why I've included "lime" in the mix because I honestly have either or. I love having watermelon lime juice and ran out of lemons and would keep limes on hand. I read that they pretty much have the same benefits. Thus, the reason if you follow me on social media. You will see my posts about warm lime water as well. I have to be honest with you though. It so refreshing to have a routine. 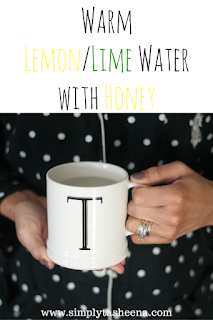 I typically do not have anything to eat in the morning until I have my warm lime/lemon water with honey. I've noticed a huge difference in my body. Plus, it so nice to sip and enjoy a cup in the morning. I'm often asked why I love it so much and to be honest with you. It has so many amazing benefits. From having immune boosting properties to assisting with digestion. 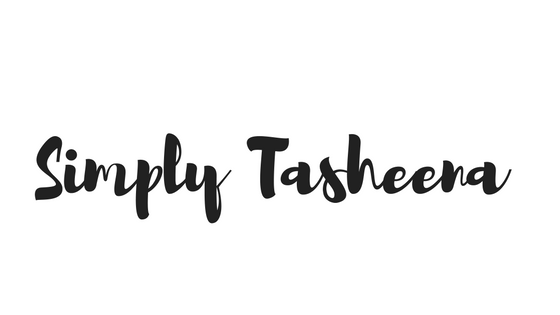 Below I'm sharing my top five reasons. My top five reasons for drinking it? Squeeze the juice of half a lime/lemon into the honey water, stir and enjoy! 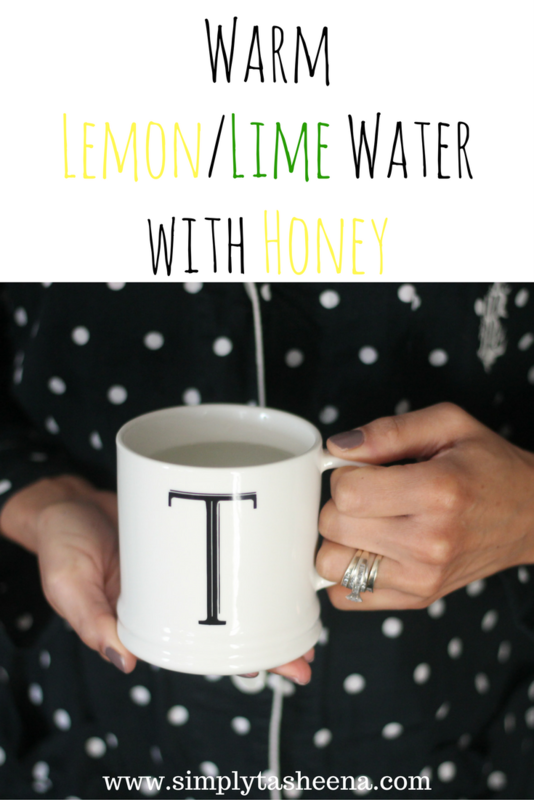 Do you drink warm lemon/lime water with honey? I have not had a warm lemon or lime drink. I do accept the lemon in my cold ice water when I'm out. This sounds refreshing and if I can add some benefits to my body so easily why not? I love drinking warm lemon water in the morning, I have not been drinking it for a while now. This is surely a reminder to start drinking it again, because aside from being tasty the health benefit is awesome. Girl, this is my go-to! I have sliced up lemons in my fridge for hot teas or cold ice water. I love honey and lemon tea, especially if I am trying to get over a cold. Sounds a great idea and what results for you. It is great to hear about the benefits of having lemon water.At home,I prepare lemon drink.It is almost similar to this recipe.